Liz Jorgensen has 30 year’s experience with adolescent and adult psychotherapy and counseling. She is a nationally recognized expert in counseling, particularly in engaging resistant teens and motivating them to change. She was the coordinator of Adolescent Substance Abuse Services at Danbury Hospital and created and ran a dual diagnosis partial hospital, intensive outpatient and outpatient services in her 18 years there. 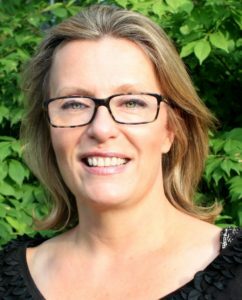 Since 2000 Liz has been the owner and director of Insight Counseling in Ridgefield, CT where she collaborates with seven dedicated colleagues to run a full spectrum of outpatient counseling programs, including intensive outpatient services for adolescents and young adults. Liz is also a consultant to Newport Academy, an adolescent treatment system with residential centers in CT and CA and outpatient centers in CA and CT.
Liz is also a consultant to many independent and public schools and treatment agencies and is a popular speaker on parenting pre-teens and teenagers. Her well know parent seminars, “Delay Your Gray,” “Taming Your Teen, Love Laughter and Limits”, “Media in Balance” and, “Loving Limits” have been heard by thousands of parents to outstanding reviews. She has written a curriculum for middle and high school students called, “This Is Your Teenage Brain on Drugs” and presents this program personally to many schools each year. Her counseling theory has been published by NIDA 1990 and her book “Delay Your Gray: How to Keep Your Teen Safe and Yourself Sane” is in press. Liz and her husband Matt are parents of four grown children. Liz is also proud and grateful to be in continuous recovery from addiction since September 22, 1985.